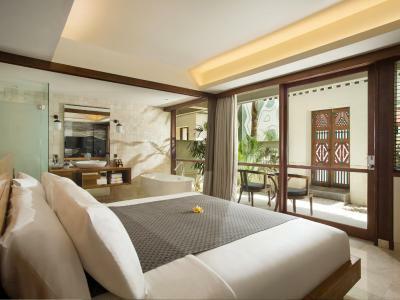 Lock in a great price for Amnaya Resort Kuta - rated 9.4 by recent guests. The facilities, rooms, staff and cleanliness in the Amnaya Hotel are outstanding. During our stay my husband was taken very ill in the night. I went downstairs to reception where the two gentlemen on duty advised me what to do, where the hospital was and then drove us both the the emergency department immediately. We are still in the hotel as we have had to increase our stay and since then, we have had amazing care and attention from all the staff as we have needed to eat in our room, they have prepared some specialist food items for us and driven us back to the hospital for more treatment. I am glad to say that my husband is now on the mend but this whole nightmare would have been much worse without the support of the wonderful team at the Amnaya Hotel. Thank you all very much! The big room. 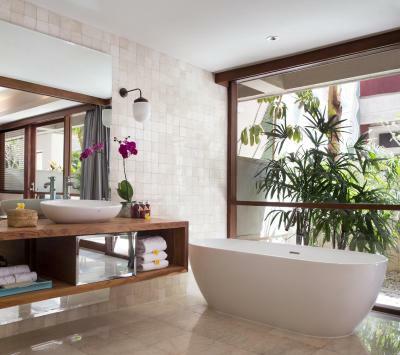 Super spacious and clean. The staff very courteous and helpful. They are always smiling. The breakfast was fabulous. We love the place. 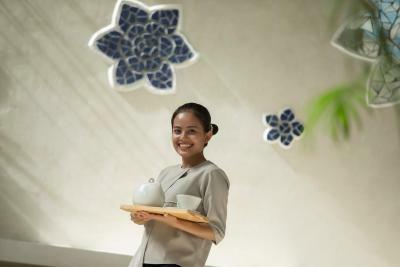 I love their breakfast, their comfortable bed and the very accommodating and friendly staff. The location is very strategic. 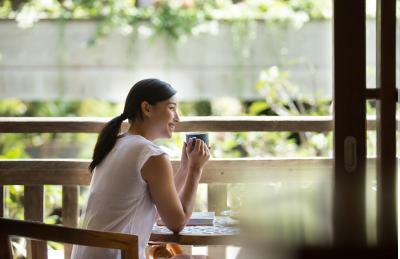 It is situated in a very quiet area but walking distance from all the activities you may want to try in Kuta area. The room was always kept clean and airconditioning was set on the right temperature. 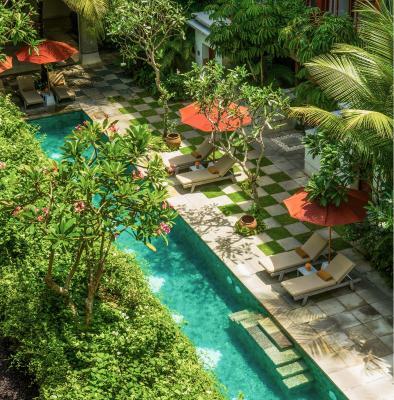 I will definitely book my stay here when I return to Bali. 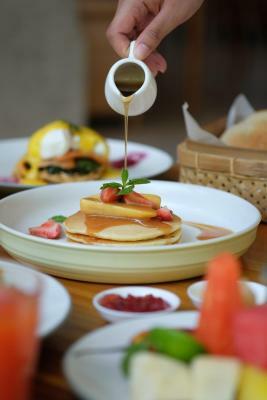 Breakfast is great... location is in the middle of the Kuta's crowded area, near shopping malls, foodies, mini marts. Close to airport. 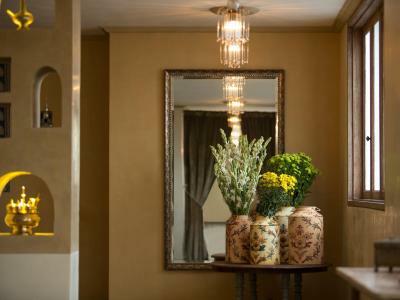 Beautiful hôtel, the service was impeccable, the room is beautiful, luxurious and comfortable. 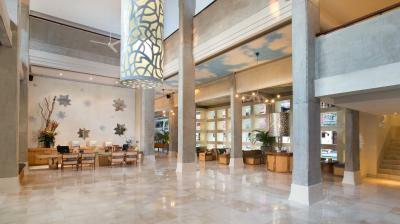 One of our top picks in Kuta – and a guest favourite. 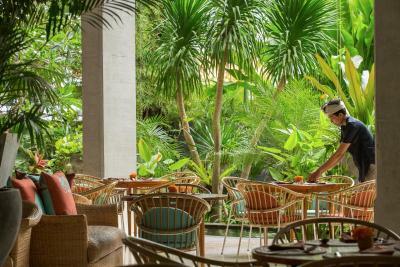 Boasting an à la carte restaurant, Amnaya Resort Kuta provides comfortable accommodations with free in-room WiFi access in Kuta. 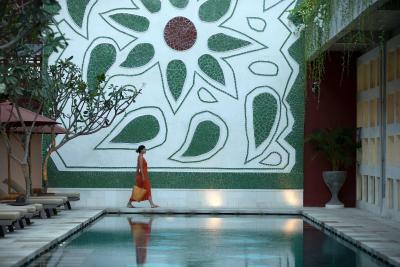 The property offers an outdoor swimming pool, a fitness centre and a fragrant garden. Featuring a rustic yet modern style, each room at Amnaya Resort Kuta is air-conditioned. 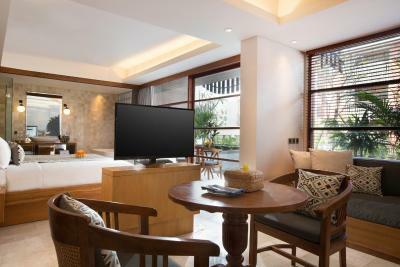 All of them are equipped with a comfortable seating area, a flat-screen TV with English and Mandarin cable channels, a safe and a minibar. Some units also include a bath and a coffee machines. Private bathrooms offer free toiletries, a hairdryer, and slippers. 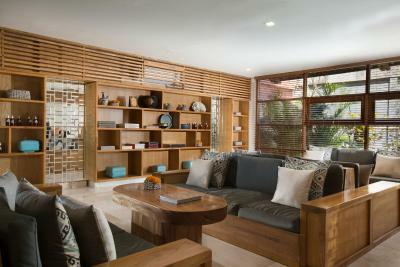 At Amnaya Resort Kuta guests will find a shared lounge and a library. 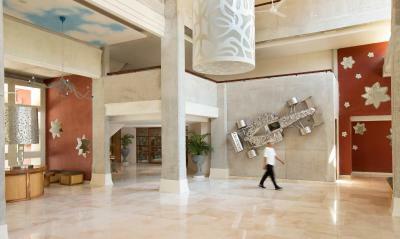 A 24-hour front desk provides helpful information for getting around the area. 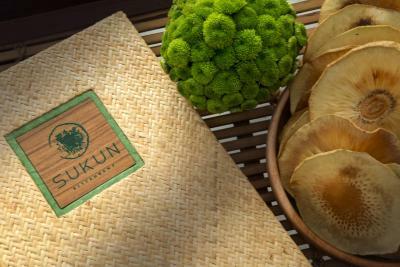 Guests can request a daily breakfast and enjoy daily afternoon tea at Sukun Restaurant. 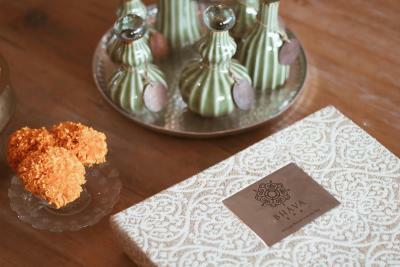 Massage treatments at Bhava Spa and barbecue facilities are available for an additional cost. Housekeeping services are provided. 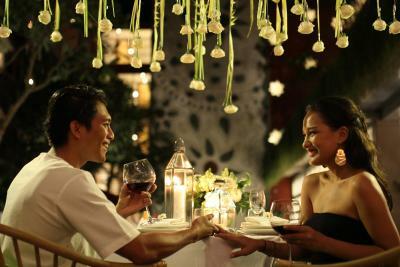 The hotel is 100 yards from Waterbom Bali, 100 yards from Discovery Shopping Mall and 350 yards from Kuta Center. 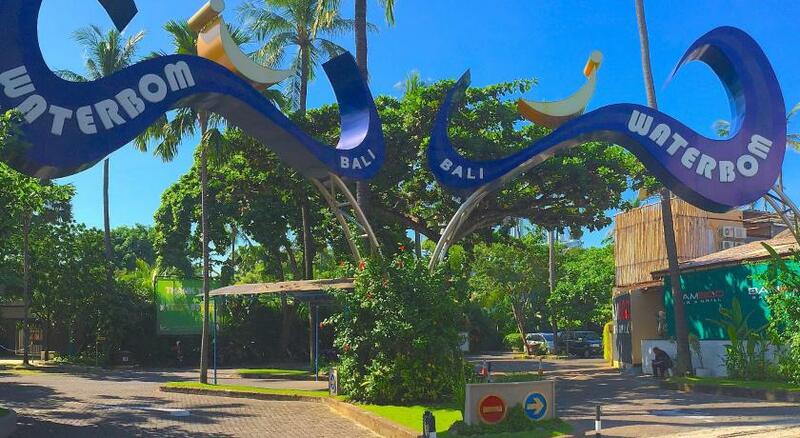 Bali Denpasar International Airport is 1.2 miles away. Airport shuttles can also be arranged for a surcharge. Amnaya Resort Kuta offers free parking. 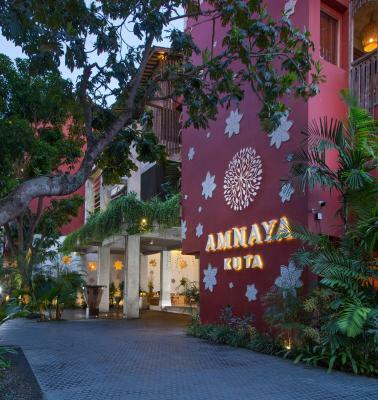 Amnaya Resort Kuta has been welcoming Booking.com guests since 22 Apr 2015. 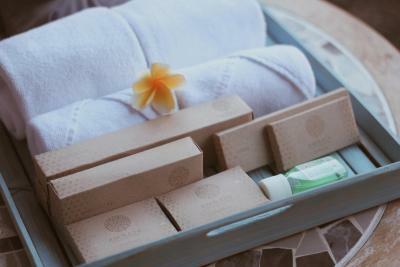 When would you like to stay at Amnaya Resort Kuta? This air-conditioned room is fitted with a balcony overlooking the garden. It includes a seating area, a safe, a flat-screen TV, a coffee machine and a minibar. The private bathroom has free toiletries, a hairdryer and slippers. 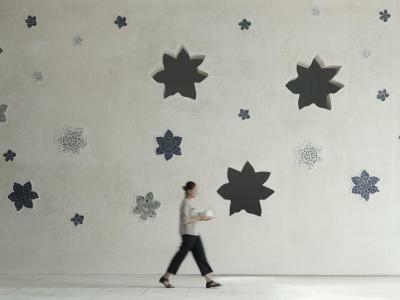 Interconnected rooms are available. This air-conditioned room is fitted with a balcony overlooking the garden. It includes a seating area, a safe, a flat-screen TV and a minibar. The private bathroom has a shower, a bath, free toiletries, a hairdryer and slippers. Offering direct access to the pool, this air-conditioned room is fitted with a balcony overlooking the garden. It includes a seating area, a safe, a flat-screen TV and a minibar. The private bathroom has free toiletries, a hairdryer and slippers. This suite comes with a balcony/terrace, a dining area and an outdoor dining area. It's fitted with air conditioning, a flat-screen TV and a minibar. The en suite bathroom comes with a bath, a hairdryer, slippers and free toiletries. Interconnected rooms are available. 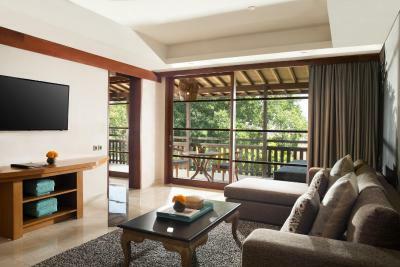 Suitable for up to 4 persons, this family suite has a seating area and an outdoor dining area. It's fitted with air conditioning, a flat-screen TV and a minibar. The en suite bathroom comes with a bath, a hairdryer, slippers and free toiletries. 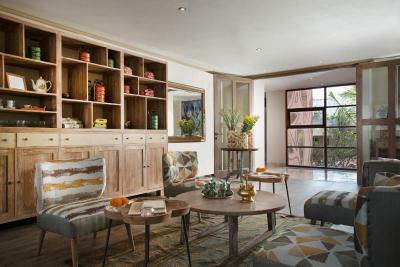 This spacious suite has a seating area and an outdoor dining area. It's fitted with air conditioning, a flat-screen TV and a minibar. The en suite bathroom comes with a bath, a hairdryer, slippers and free toiletries. 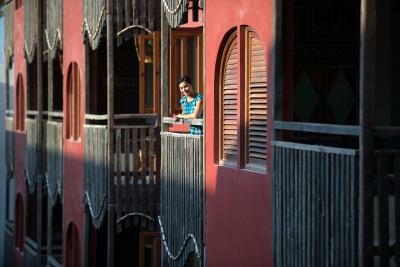 Each of this two air-conditioned rooms is fitted with a balcony overlooking the garden. It includes a seating area, a safe, a flat-screen TV and a minibar. The private bathroom has a shower, a bath, free toiletries, a hairdryer and slippers. One of the room is fitted with a double bed while the other comes with twin beds. 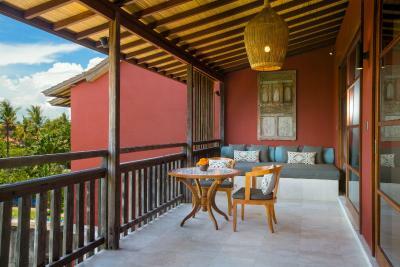 Each of this two air-conditioned rooms is fitted with a balcony overlooking the garden. It includes a, a seating area, a safe, a flat-screen TV and a minibar. The private bathroom has a bath, free toiletries, a hairdryer and slippers. Please note that this room can fit either 2 adults with 2 children, or 3 adults with 1 children. This air-conditioned room has a seating area, a dining room and a balcony. 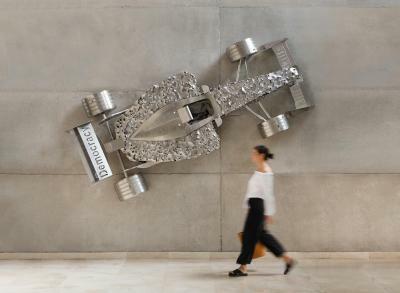 It's fitted with a flat-screen TV, a personal safe, a coffee machine and a minibar. The private bathroom comes with a hairdryer, slippers and free toiletries. Interconnected rooms are available. Please note that the balcony does not have a view. 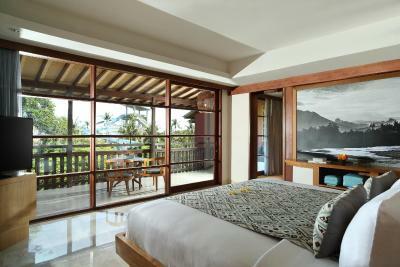 This twin/double room features a balcony, pool view and air conditioning. 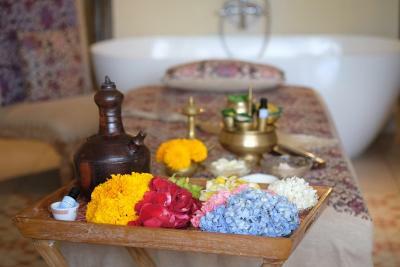 House rules Amnaya Resort Kuta takes special requests - add in the next step! 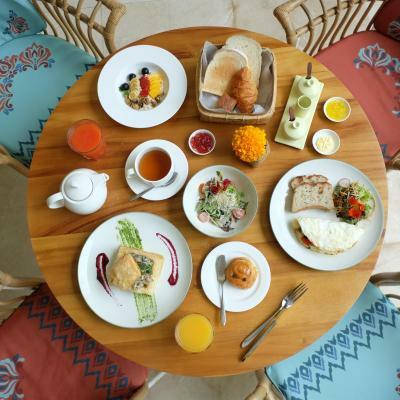 Amnaya Resort Kuta accepts these cards and reserves the right to temporarily hold an amount prior to arrival. A little in to Jln Kartika but no problem coz there’s always buggy from the hotel that will bring us in and out of hotel and send us to discovery shopping mall. If you looking for a suburb place with views, this is not the place. Traffic jump would be the risk if you need to drive since the location is in the middle of town. 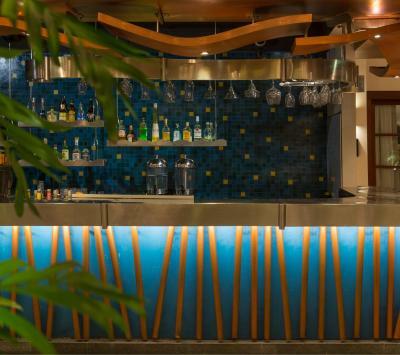 Was really clean, the staff were really friendly and the overall hotel was very relaxing. Beds were really soft and comfortable. Just a short walk to discovery and waterbom which was nice. 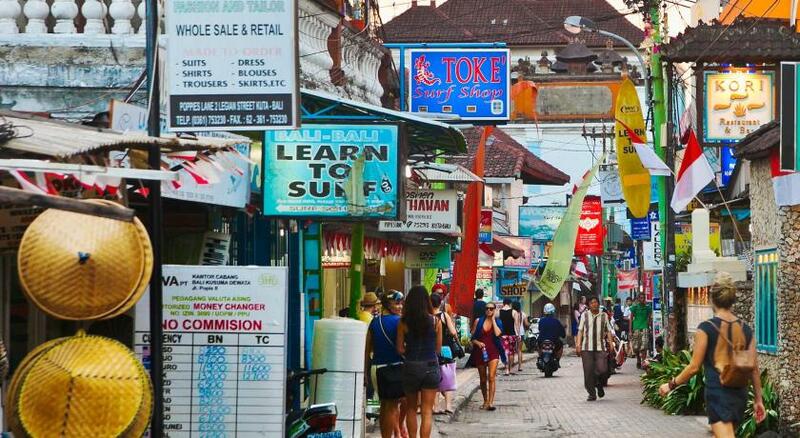 Due to the little alley it is not on the Main Street so no traffic noise and was very tranquil compared to the busy streets of Kuta. Lots of mirrors and good tv reception in room. Felt like staying at a day spa with the relaxing atmosphere. Pool was perfect size and towels were provided. Wifi was very fast and had good connection. Where to begin... from the moment we entered the resort we were greeted with a grand smile and warm sentiments from. It felt like I was being welcomed by my loved ones. The first face we saw was Gusde, the ultimate hotel associate! We had previously upgraded to the Double Room with pool access (suggested by Booking.com) and it was totally worth it. We walked right past the pool and through a privacy gate into our front patio with a couch and small table for dining at the room. The doors opened and I was amazed by the room. Every detail was perfect from the hand written note welcoming us to the room all the way to the soft kimono style robes. Gusde, my friend and I couldn't stop laughing. We shared a long conversation and really connected as friends. The next morning when we were ready to head out on our excursion, the staff knew us by name and went out of their way to ensure we were served to satisfaction. (Even loaned us swimming goggles and towels for the beach). 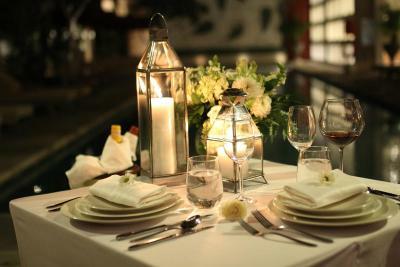 They also have daily scheduled activities to get to know the other guests but we were short on time and unable to partake. 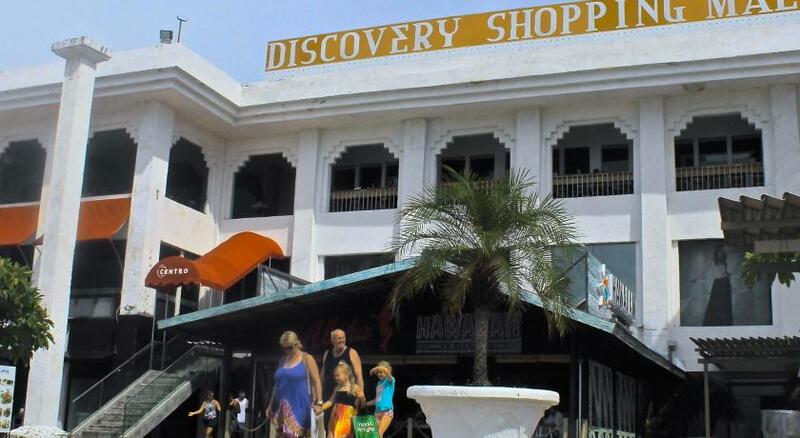 There is even a shuttle from the hotel to the Discovery Shopping Center (500m). And once again our trusty friend Gusde (with a big smile) immediately offered to drive us! All in all this has been the best hotel/resort experience in my many travels (15 Countries) and I recommend this hotel 100%! 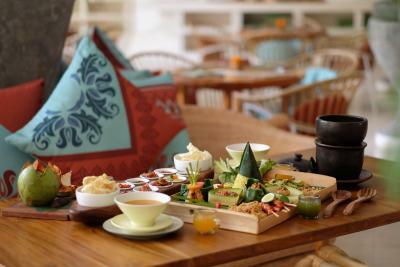 In you go to Southern Bali (Kuta), then stay at the Amnaya Resort Kuta !! !